A local amateur player has experienced success on the international stage, being named Player Of The Tour, on the recent Great Britain Pioneers visit to Hungary. 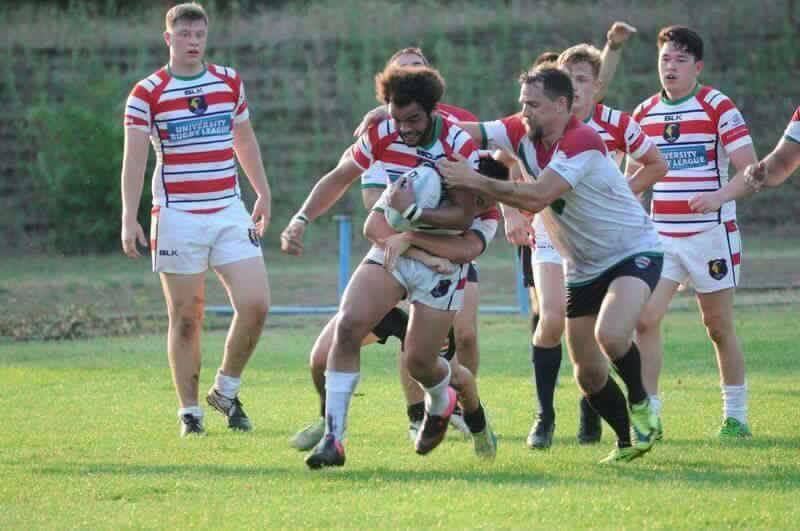 Josh Hill, 24, plays his community rugby for the University of Salford and Manchester Rangers, and was one of the stand out players in the Pioneers tour of the Central European country, which is a developing nation in the sport of Rugby League. The Great Britain Pioneers is a squad of players selected for their services and commitment to the amateur game, who then work to develop and spread the gospel of the sport, in countries where it is yet to be established. The achievement caps off an already successful season for Hill, who became a league champion with the university side in March and played at the AJ Bell stadium in the annual Varsity fixture. Away from his individual accolades, the tour was a resounding success for the Pioneers, who recorded an 80-0 victory over the Hungary National Team, and worked closely with Hungarian amateur clubs to deliver coaching and insight to aid their development. “When I was talking to the other GB players we discussed our different universities in length. I'm actually really looking forward to meeting some of them back on the pitch and playing against them in this year's BUCS league!" “None of this would have been possible had it not been for support of the likes of the Foundation so I’m hugely grateful, as this was a once in a lifetime opportunity for me”. “Josh is an example of the fantastic talent and passion for Rugby League that exists in the Salford area, we’re delighted for him, and I’m sure this won’t be the last time we someone from the community game go on to achieve success on a wider scale.